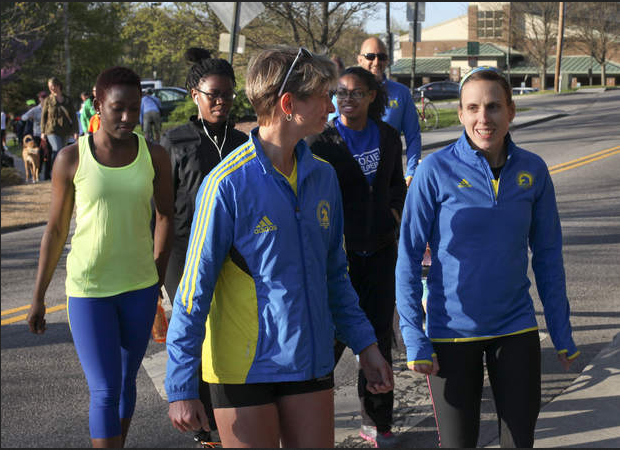 Last night the local runners gathered to run/walk together in support of Boston - the rescue workers, law enforcement, medical personnel, race officials, government, citizens, runners, and of course the victims. We wore our Boston colors, shared a moment of silence, and myself and a fellow local Boston runner, Kirsten Mosby, were asked to say a few words. 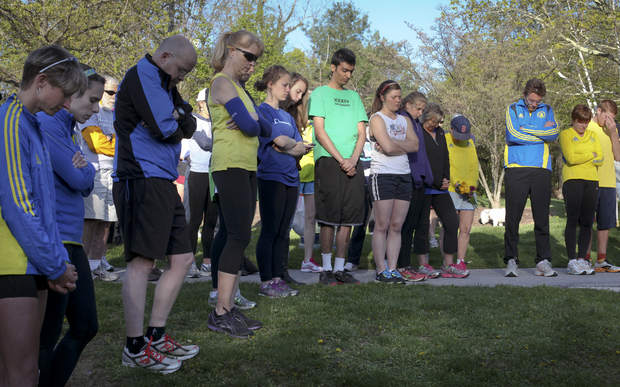 This was organized by Runabout Sports and the owner, James DeMarco, who is truly, undeniably, the beloved hub of our running community. 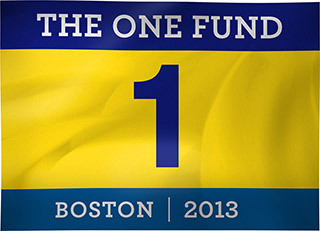 Runners for Boston shirts were sold and donations taken with 100% of proceeds going to One Fund Boston. We live in a community that knows first-hand about tragedy with the Virginia Tech shootings in 2007. Fortunately, I've seen the strength and resilience that can result. That gives me great hope. I used my few moments last night to talk about the freedom that running affords us -- the ability to go out the door under our own power, to move about, to chose our route, to explore the world, to run. We have freedom in our bodies and freedom within our country. I shared how I felt that the bombers threatened both with life- and limb-destroying weapons and an assault to freedom through fear, and a locked down city. It's hard to know what to do, how to respond. I suggested that maybe the best thing we can do as runners is to try to bring more people into "the fold" to share the freedom that we know. Get more people out walking and running (or hiking, cycling, swimming, whatever) in the world and understanding responsibility for the environment and appreciating the sweetness of life. I continue to be haunted by images of the victims, fresh from the destruction. It's been a tough week for everyone, but last night helped to move things forward for me. And true to form (sigh), even in the midst of a "community run", I took off for a few cobweb-clearing, freedom-loving, reflective solo miles in the middle, but looped back around to finish up running with James and one of his high school track alums. 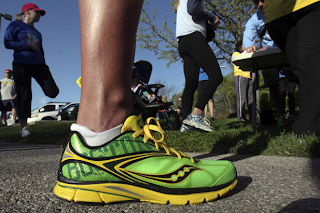 Listening to their conversation and James' excitement for the first annual Blacksburg Half Marathon this fall lifted my fog and left me feeling pretty good. 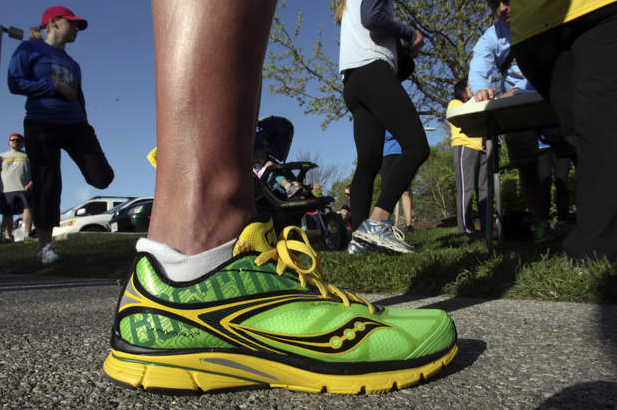 Community shows up to run in honor of Boston victims by Melissa Draudt, Collegiate Times, April 22, 2013.